GAOTek presents an exclusive collection of high performance and robust Passive Optical Network (PON) transceivers for use with single mode fiber for sale to the United States, Canada and Globally. PON transceiver is an optical transceiver for the PON system. It uses different wavelengths to transmit and receive signals between the central office and end user premises. They are based on GPON (Gigabit Passive Optical Network) or GEPON (Gigabit Ethernet Passive Optical Network), the leading technologies for FTTx deployments. The key difference between conventional transceivers and PON transceivers is the optical signal transmission mode. In conventional transceivers the transmission mode is Point to Point while in PON transceivers is it Point to Multi Point, i.e. one transceiver at central office communicate with multiple end user transceivers. 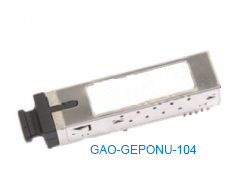 GAOTek supplies both optical line terminal (OLT) and optical network unit (ONU) transceivers, for GPON and GEPON transmission. These bi-directional devices are Laser Class 1 products and comply with the requirements of IEC 60825-1 and IEC 60825-2. Our GEPON transceivers are IEEE 802.3ah compliant, and GPON transceivers are ITU-G 984.2 compliant. 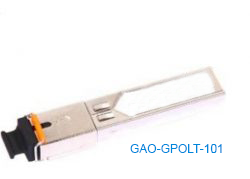 We offer OLT transceivers for Gigabit Ethernet Passive Optical Network (GEPON) and Gigabit Passive Optical Network (GPON) applications. This 1.25Gbps, 1490nm GEPON ONU transceiver is used with a Single-Mode Fiber to reach 12 Miles (20km). 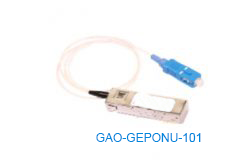 This 2.5Gbps, 1490nm GPON OLT transceiver is used with a Single-Mode Fiber to span up to 12 Miles (20km). 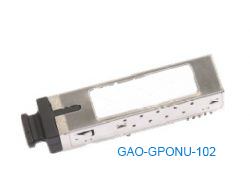 This 1.25Gbps, 1310nm GPON ONU transceiver is used with a Single-Mode Fiber to span upto 12 Miles (20km). This 1.25Gbps, 1310nm GPON ONU transceiver is used with a Single-Mode Fiber to span up to 12 Miles (20km). We have served customers in over 50 countries around the world. We can handle any need, with any system, any where! A great system is only as good as it's hardware. We carry a large range of hardware for different global and industrial needs. Versatile and powerful software that can be customized to your specific needs and industry for any system you envision. We have been providing electronic hardware, software and system products for over 20 years. Let our experience find the perfect solution for your needs! From our Toronto, Canada head office and branch office in New York City (NYC), GAO Tek serves customers in 50 countries across the globe. Whether it is the USA and Canada, Asian countries such as Philippines, Malaysia, Indonesia, Singapore and Thailand, European countries including The United Kingdom, Germany, France, and Italy, the Middle Eastern countries such as Saudi Arabia, United Arabic Emirate (UAE), Turkey; or South Pacific countries such as Australia and New Zealand, our goal is to provide leading edge products and service to engineers in every industry. 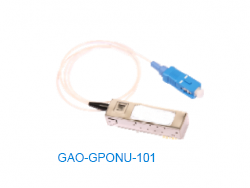 GAO Tek offers one of the world’s largest selections of advanced OTDR (optical time-domain reflectometer), OTDR with Visual Fault Locator (VFL), fusion splicers, optical fiber identifier and rangers, optical telephone, power meter, variable optical attenuator, VFL, light sources, fiber cables, media converters, hubs, switches, optical talk sets. Comprehensive offerings of transceivers compatible with international standards such as GBIC, XFP, SFP, SFP+ BIDI, CWDM, DWDM, GE-FX and Tunable Transceivers, and CFP, PON, QSFP, XENPAK, X2 Transceivers. Another popular line of GAO Tek products are advanced PSTN and cable test equipment including multi-function handheld xDSL testers, portable xDSL testers, handheld E1 Bit Error Rate (BER) testers, data transmission analyzers, handheld ADSL2+ testers, portable cable & antenna analyzers, handheld Gigabit Ethernet testers, multi-function network cable testers, compact telecom line testers, TDR cable fault locator, and CATV QAM analyzers. GAO Tek offers electrical testers such as LCR and clamp meters, digital multimeters, ohmmeters, logic analyzers, transmission line testers, industrial PCs and tablets, and process calibrators, spectrum analyzers, and digital oscilloscopes. GAO Tek also supplies RFID readers, tags and antennas for various frequencies. GAO Tek’s environmental test and measurement equipment includes anemometers, colorimeters, gas detectors, hygrometers, infrared thermometers and calibrators, moisture analyzers and meters, refractometers, radiation and sound level meters & calibrators, temperature data loggers, and turbidimeters. Water resources engineering products include conductivity, ion, ph, and water meters. Chemical and life sciences products include melting point testers, peristaltic pumps, polarimeters, and viscometers.